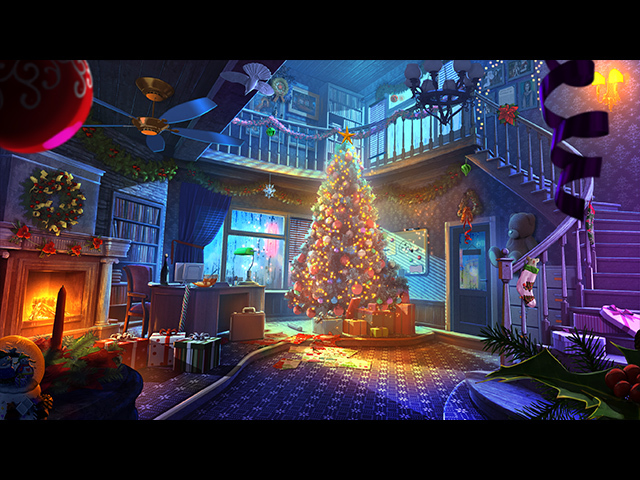 Yuletide Legends: Who Framed Santa Claus is rated 4.5 out of 5 by 4. Rated 5 out of 5 by steve_san from One of the better Christmas games I was pleasantly surprised by this game. I'm not generally a fan of Christmas games (not because I don't like Christmas, just the way the games portray it) but his one was very good. The title tells you that Santa was framed (for stealing presents) and its up to you to track down the actual thief. The thief has also stolen Santa's voice adding to the difficulty. This leads you on a fairly long journey to various locations where you interact with many characters, including Jack Frost and the Snow Queen. The story line is ok, but I thought the game play was better. There is a nice mix of puzzles and HOPs and I found most of them were interesting to play, if not especially innovative. In my opinion, the weakest part of the game was the voice acting, particularly the character you play. I don't usually like to mention it, but the acting was just way over the top, easily reaching the overacting category. This is also true in the Bonus game, if you purchase the Collectors Edition as I did, where you play the elf. I found the elf's voice slightly more annoying. Speaking of the Bonus Game, it is a bit of a letdown after the main game and not nearly as clever or good. For that reason, and if you miss a collectible in the main game you cannot go back afterwards to get it, I recommend this Standard Edition. 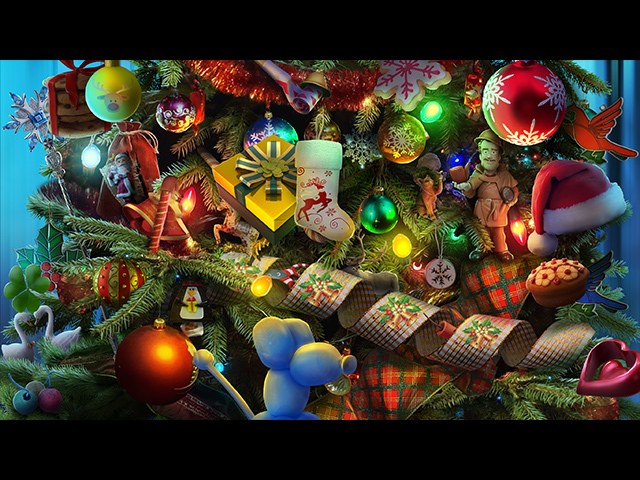 Despite a few broken icicles and lumps of coal, this is a good game and of course it's worth saving Santa. Merry Christmas! Rated 5 out of 5 by HeavenBound7729 from Santa Needs Our Help! Mrs Santa is so upset when she arrives at the detective agency for help. Poor Santa is in the slammer and we have to get him out of there asap or Christmas will be postponed until next year, A dirty scoundrel has framed sweet Santa for stealing presents and if that isn't bad enough, his voice has been stolen. Our expert, kind of quirky, detective skills will solve this case. After all, Mrs Santa has come to THE best agency for solving holiday crimes. I love this new twist on a Christmas tale and the humor in it. The storyline was very entertaining for me. I loved the look of the graphics which seemed a little retro to me. The characters, voices, costumes, scenery were all done very well and the colors were not a neon assault on the eyes like in many Christmas settings. The game was a lot of fun, not very difficult really, and all the games and HOPs were just the right challenge, for a relaxing good time with the entire family. I don't like giving too much info in my reviews, don't want to spoil anything for you. Many of you may have read the CE reviews. Mine is posted there, a bit lengthier, if you care to check it out. 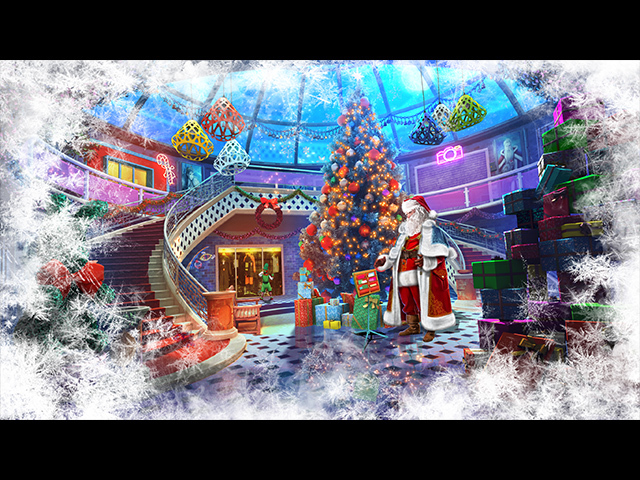 I purchased this delightful Yuletide Legends game because the demo just made me do it !! It was a good purchase, no regrets. My collection of holiday games is getting crazy huge! God Bless.... Joy To The World! 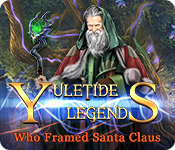 Rated 4 out of 5 by ender07 from Yuletide Legends: Who Framed Santa Clause I really enjoyed playing this Christmas game as it felt suitable for adults, not as cartoonie as most. I will be replaying this one a few times before removing it from my files.